Four new positive cases equine flu in vaccinated thoroughbreds at a Newmarket racing yard, which is now under full quarantine. The BHA will make a decision on race meetings this evening. Please consult the organising body of any events you were planning to attend as these may well be cancelled. We currently have a good stock of vaccine for all those of you that wish to have your horse’s flu vaccine boosted or are due a vaccine anyway. We’d like to confirm again that we use the type of vaccine recommended by the AHT as most appropriate for the current outbreak; Proteq Flu. We also have good stocks of the swabs required for testing for flu. Please note however that the AHT who run the samples have rather a backlog getting all the tests run. Not exactly a surprise. They will be running flat out! We’d be grateful if you don’t post queries on here, but instead call the practice. Thank you. March is our vaccine amnesty month this year. During this month we are campaigning to help protect as many unvaccinated/overdue horses as possible. 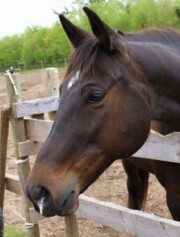 Horses require a course of 3 vaccinations followed up by annual boosters to protect them against Equine Influenza. We are offering the second vaccination of a course of three free of charge, (although the visit fee will still apply). This is of particular relevance currently as there have been cases of Equine Influenza confirmed on the near continent and in this country, the closest currently in Suffolk. If you feel your horse is particularly at risk, then six monthly boosters are advised. If you have any queries on your horse's vaccination status, please don't hesitate to contact the practice and ask to speak to one of the vet team.